You can have eggs for every meal of the day. Since eggs are so versatile, you can get creative and whip them into savoury recipes. With an addition of milk and cheese, you can make them more delicious to eat. 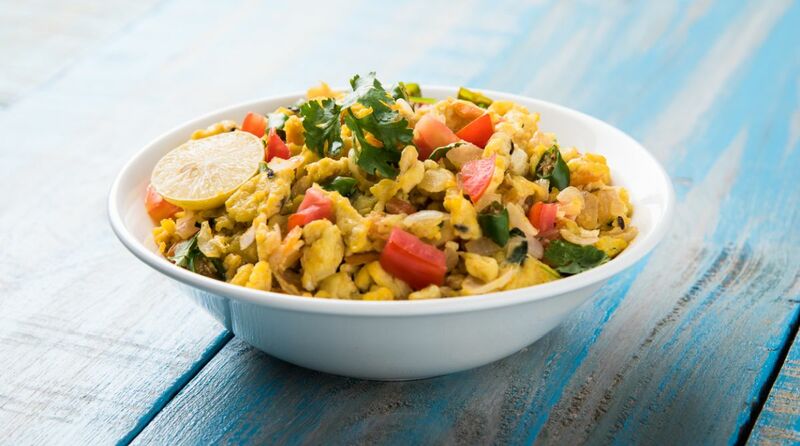 You all know how to make egg bhurji, but here is a different way to cook it with more natural flavours and healthy nutrients. 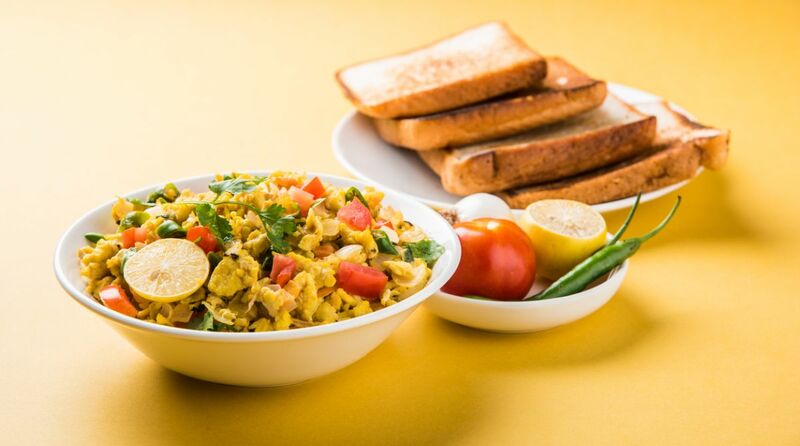 Eating simple egg bhurji can become boring fast. So, this different way can add variety to your meals and taste buds. Chop onion, bell peppers, mushrooms, green chillies, tomato and fresh coriander leaves very fine. Beat eggs in a big bowl for two minutes. Add milk and beat again for a minute. Keep aside. Add chopped onions and saute for a minute or two. Add mushrooms, bell peppers and green chillies. Stir for five minutes on low flame. Add beaten eggs and salt. Cook on low flame stirring occasionally till eggs get cooked fully. Add grated cheese and give a good stir. Cook for two more minutes till cheese melts and gets absorbed by the bhurji evenly. Add white pepper powder red chilli flakes, oregano and fresh coriander leaves. Mix well. Garnish with finely chopped tomato. Serve hot with chapatti or wholegrain bread. Don’t forget to try. Simple yet delicious and healthy too!